This is the real secret of life – to be completely engaged with what you are doing in the here and now. 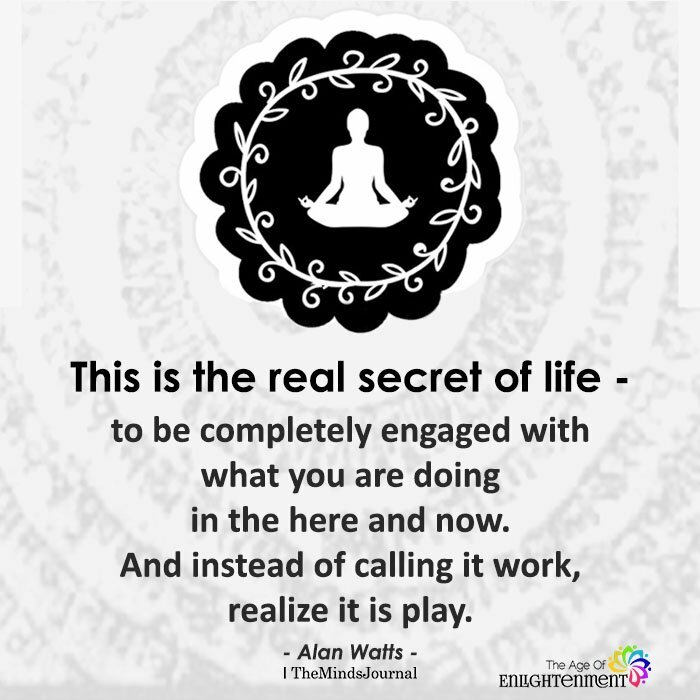 And instead of calling it work, realize it is play. I learned that who doesn’t look for you, doesn’t miss you and who doesn’t miss you doesn’t care for you… that destiny determines who enters your life but you decide who stays… that the truth hurts only once and a lie every time you remember it. There are three things in life that leave and never return: words, time and opportunities… therefore, value whoever values you and don’t treat as a priority whoever treats you as an option.